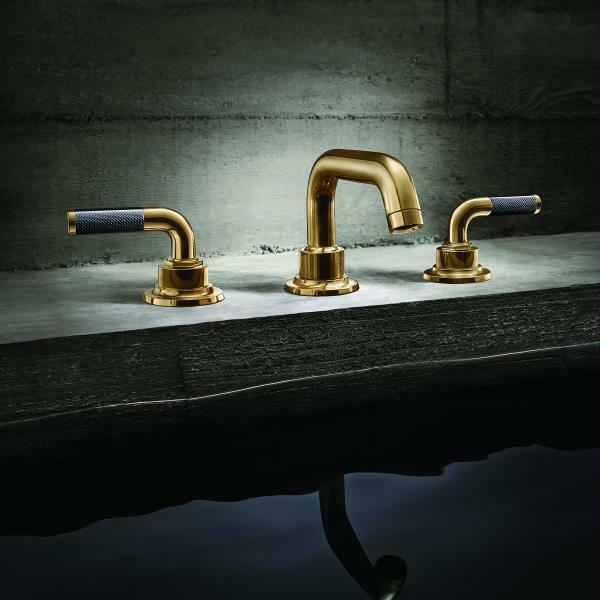 Inspired by industrial design, California Faucets has debuted its Descanso Series of widespread bath faucets distinguished by handles with hash-mark knurling. The solid brass collection features a low-profile, cylindrical spout and handles, allowing the knurling on the handles to stand out. 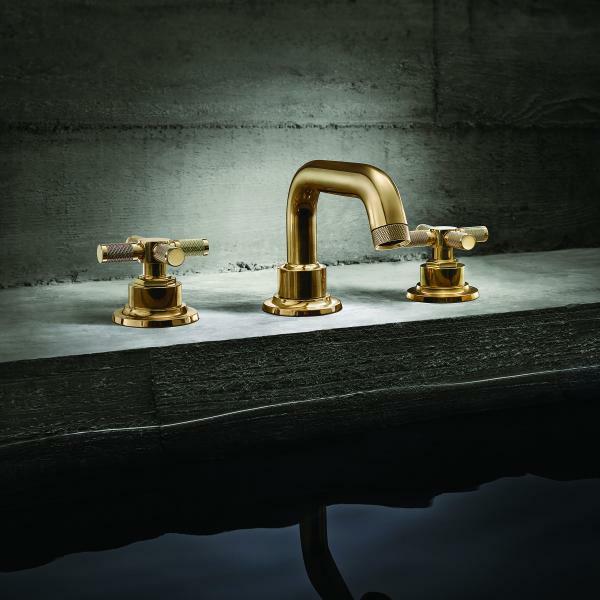 The faucet is featured in a new vintage-look Burnished Brass finish that is slightly abraded and will patina over time, as well as 30 additional artisan finishes, 15 of which are PVD. Descanso faucets can also be specified with black carbon fiber handles, which feature the same knurling pattern as the brass handles. 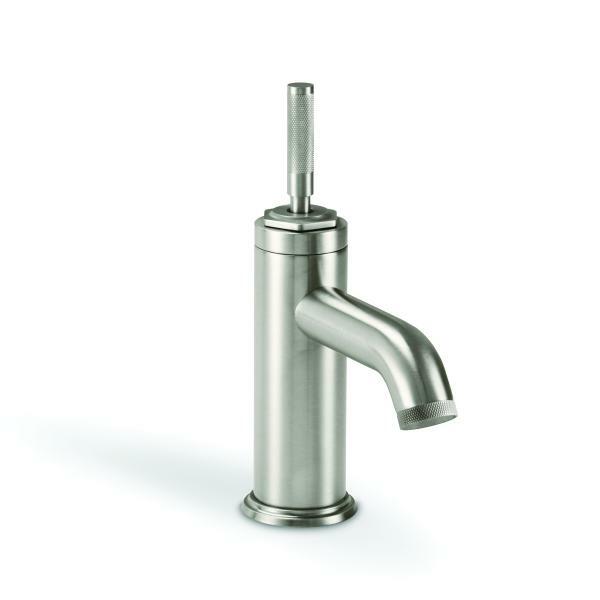 The spout is available in low and arched heights, as well as a joystick option for small spaces. Handles come in both in lever and cross shapes. The matching roman tub trim set is available with the same height and handle options.